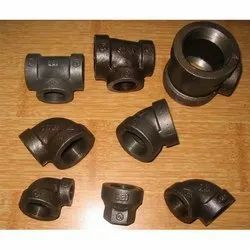 We specialize to offer an extensive range of CI Pipe and Fitting to our clients at reasonable prices, which find wide application in various sectors. The diverse range of CI Pipe and Fitting are hugely appreciated by our clients across the country for its unique features. Ductile Iron / Cast Iron Pipes from 50 mm upto 2000 mm dia for potable water & sewage including standard & non-standard fittings. In order to fulfill various demands of our esteemed clients, we are engaged in manufacturing an optimum quality array of CI Nozzle Bib Brass Spindle. Hubless Cast Iron Pipes, Fittings & Accessories confirming to IS 15905. 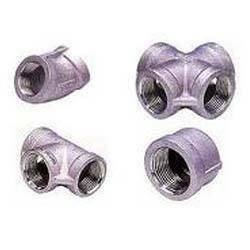 - A tee is the most common pipe fitting. It is available with all female thread sockets, all solvent weld sockets, or with opposed solvent weld sockets and a side outlet with female threads. Alloy cast iron bands and fitting are mostly user in ash handling systems. they are manly two types of 2 D & 3D. working life of 3d types fitting is more then 2D. both are available in lot of verity of MOC & hardness. Fitting are easily manufacture as per costume to meet his requirement requirements. Cast Iron Plain End Bend Wyes suitable for A.C. Pipes class 20, BS 4622. Casting to BS 1452, GR. 14. Tested Hydraulically to 20 kgf/cm². Coating : Bituminous Epoxy. Suitable for drinking water.